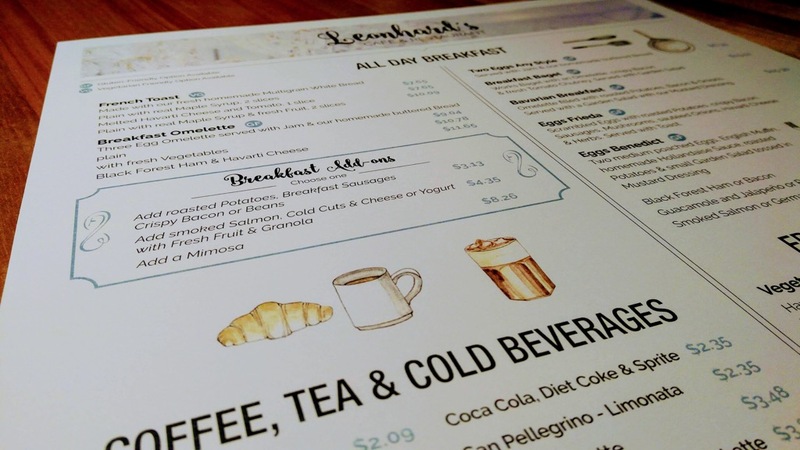 After a few years of forgetting to go to Leonhard’s, a café just up the corner and around the bend from our house, I’ve started dropping in again, from time to time. As I did today. Where I encountered their lovely new menu, a menu so lovely that it changes the entire character of the place. Watercolour illustrations are by the talented Bayside by Sam. Written June 6, 2018 at 5:37 p.m.